How do you know what hot tub features are important? Buying a Hot Tub is an exciting process. Potentially a once in a lifetime purchase. But it’s easy to get swept up in the excitement. Get bamboozled by words you don’t recognise. And realise post-purchase that you’ve missed out on key hot tub features. Or, worse, paid for a feature you don’t really need or want. What is an air blower? Do I need an ozone installed? Do self-cleaning hot tubs exist? So many questions. Where do you begin? Don’t worry. We’re taking the confusion out of the hot tub shopping process and going through all the words you are going to hear. What they mean. And whether they are important. So you can make a decision on what works for you. Ps. If you’re already really lost and thinking, what’s the difference between a hot tub, spa and Jacuzzi, then we’ve got that covered. Give this a read and then pop back to this page. What is the difference between a hot tub, spa, Jacuzzi and bath? Standard hot tubs jets use both air and water to create a unique massage experience. On some hot tubs, the air supply can be activated or deactivated using a valve or switch. This can alter the massage. An Air blower is an independent motor (separate from the standard pumps), which pushes out large volumes of air to specific jets. These are sometimes ‘pepper pot’ style jets on the seat and footwells. Or specific ‘extra’ jets around the tub designated to air supply only. This causes the water to ‘bubble’ and provides a lighter massage than that of water jets. An air blower adds another dimension to the massage experience of the hot tub. And so can be a great addition if you are looking for a boost to the hydrotherapy benefits of the hot tub. But it also adds about £500 to the cost of your hot tub. Plus, the introduction of air cools the water, which can reduce energy efficiency. It’s personal preference, but I usually only recommend an air blower for a smaller, 1 pump system. It offers extra power + a better massage experience in that case. Like we said above, hot tubs draw in air and water to create a unique massage experience. 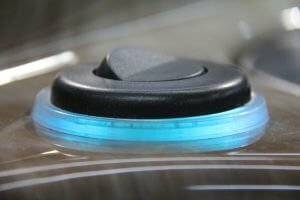 On some hot tubs, it is possible to switch off the air using valves or buttons. This allows you to have only water coming through the jets. Or air and water. Note this is different from an air blower, as it happens naturally through the same jets the water comes through. This is included as standard on all our Coast Spas. However if not, it can be a good addition to allow for different massage experiences. If you are searching for a Hot Tub, then you might hear the word Balboa banded about a lot. Why? Balboa Water Group are the gold standard in hot tub components. They produce topsides; control panels, heaters and pumps. They are industry recognised as the leader and their products are used in many quality hot tubs. They are whatCoast Spas use. And what we at Eagle Leisureretrofit all hot tubs with if the board requires replacement. However, they are but one piece of a puzzle in hot tub manufacturing. Over the past couple of years, a lot of cheap hot tubs are being retrofitted with these, to try and bolster their quality. Unfortunately, while the control may be well built, the quality on the rest of the hot tub is still poor. Balboa can signaller of high-quality hot tubs, but it shouldn’t be viewed in isolation. Many cheap quality tubs now use Balboa controls. And equally many well-built tubs use alternative (eg. Artesian). The cabinet is the exterior of the hot tub. Traditionally all hot tubs were natural wood (eg. Cedar). However, recently maintenance free, vinyl cabinets have become the more popular option. You can choose from a few colour options: black; chestnut and grey. 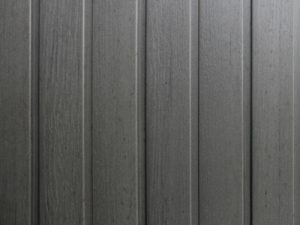 Sustainable cedar is still available from a few select hot tub manufacturers if you want a more natural look. If you want a low maintenance hot tub, then synthetic vinyl is a great option. If you want a something a bit different then Coast Spas offer sustainable cedar cabinets that can be treated to weatherproof. Despite what you might hear, chemicals are a necessary part of hot tub maintenance. Hot tubs sit at 36-40 degrees Celcius. Heaven for those bacteria looking to multiply. So it’s essential that you use some chemicals to kill these bacteria. Plus your skin likes a neutral pH. So we need to make sure the water is neither to alkaline or too acidic. We do this by adding chemicals. Don’t worry, at first it seems like a lot. But, it really involves a few simple steps to keep your water clean and safe. Do I need to use hot tub chemicals? No matter what you hear, remember, chemicals are a necessary part of hot tub maintenance. As standard, your hot tub should come with an insulated cover. 60% of the heat is lost through the surface of the water, like the top of your head. So it’s essential for hot tub efficiency that you have an insulated later on top of the hot tub. The best hot tub covers are tapered. Standard thickness is 4.5-2.5″ or 5-3″. The taper allows the rising steam to roll down to the edges and fall back into the hot tub. Avoiding chemical damage to the hot tub cover. If the cover gets damaged through wear and tear of chemical damage, it can take on water. This makes it heavy and inefficient. Insulated hot tub covers should be included as standard. Make sure it is a well insulated and tapered cover for maximum energy efficiency. Most hot tubs have the ability to move the pump power around the spa. You can either have the hot tub running normally, with the power distributing to every jet equally. Or you can block off some seats. If you’re in a hot tub alone or with just a couple of people you might want the option to have more power in the seats being used. The diverter allows you to block off areas that aren’t in use, and divert all the power to the ones that are. These are included as standard in most hot tubs. But it’s worth checking as it’s a good feature to have to allow you more control over the power. People on average shed 1 pint of body fluid per hour in a hot tub. Yuk! With that in mind. 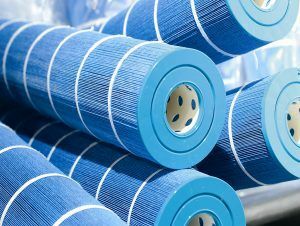 Filtration should be one of the things that is a really big deal when you are looking for your new hot tub. Filtration is the basis for easy water care. Standard skim filtration: Traditional hot tub filters sit behind the skimmer grill. The filters are in constant contact with the water. This means dirt and debris can escape the filters and make their way back in to the bathing water. The result. The water is not fully clean. And the filters are repeatedly playing a game of ‘catch and release’. Pressurised filtration: In pressurised filtration systems, the filters sit in a canister completely separate from the bathing water. Once the debris is trapped it cannot get back into the hot tub water. Pay attention to filtration and opt for a high-quality, pressurised filtration system if possible. It will make your water care and maintenance much easier. Hot tubs stay at the set temperature the whole time. You don’t need to heat them up like a kettle before you jump in. They are always ready for use. For this to be the case hot tubs have built-in heaters. Standard heaters are 2kw- 3kw. They will take 12-18 hours to heat an average hot tub (longer in very cold weather). All hot tubs have a heater fitted. Go for a good quality hot tub to ensure your heater will be able to withstand long-term usage. Hydrotherapy. You might hear it being used when you are talking about your ‘why’ for buying a hot tub. It’s the manipulation of water temperature and pressure for treatment purposes. If you are getting your hot tub for the treatment of a condition such as arthritis or fibromyalgia. Or to aid in muscle recovery or rehabilitation then the ‘hydrotherapy’ will be particularly important for you. 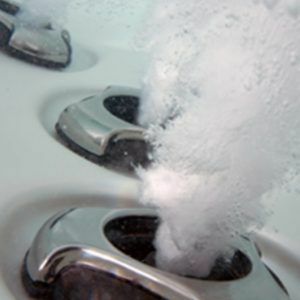 Basically, what that means for you is that you will want a hot tub will powerful pumps, well-placed jets and the ability to divert power around the tub. You aren’t looking for a bucket with jets. You are looking for something that will really benefit your health and wellness. Yeah hot tubs look good and are cool. But you probably also want it for some relaxing and muscle recovery. So ‘hydrotherapy’ is probably something you want to think about whether it’s the main purpose or not. Hot tub running costs should be no more than £30-£40/month. But we’ve had reports of bills soaring to £100/month. Uh-oh. Want to make sure you’re in the £30-£40 camp? 60% of the heat is lost through the surface. So, like we said earlier a good cover is vital. But, we also recommend full foam insulation in the cabinet of the hot tub (from the shell underside right to the cabinet edge). This also reduces noise and has the added benefit of adding some structural support to the pipework. 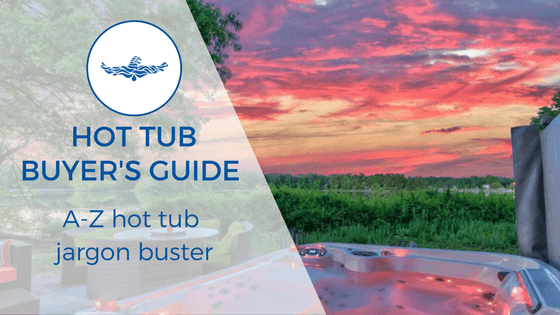 What separates acrylic hot tubs from their inflatable counterparts, is the high powered jets that push out water to massage our muscles and give us all sorts of lovely health benefits. Oh, we know! It’s always one of the first things people want to know. Why? The idea that more jets = better hot tub has been pedalled around for a while in the hot tub industry (mainly by cheap hot tub manufacturers who can only offer more jets, but that’s none of our business). Jets are a ratio game. Too many jets per pump, and you won’t get enough power out each jet. Which makes the extra one’s kind of pointless. How many pumps and jets does a hot tub need? We need chemicals to help us kill the bacteria in a hot tub. But there are a couple of things that can help the chemicals along. An ‘ozone’, sits amongst the pipework and generates ozone gas, which kills contaminants such as bacteria. An ozone does NOT replace the need for chemicals. The ozone sits within the pipework of the hot tub and is designed so the gas never actually reaches the water you are sitting in. It will reduce the number of chemicals you need to use, but not replace them. An ozone is one of the things we always recommend to add on to your hot tub as it reduces chemical usage. But it does NOT replace them. Pumps are what drives the water through the pipes and out through the jets. They are what makes a hot tub a hot tub, and not just a bucket full of water. But, much like jets, there has been a big emphasis on more = better. Which isn’t always true. Yes, you can get some hot tub pumps that are more powerful than others. But no matter how many pumps you have, they can’t exceed the given power supply (13/32AMP). Again, focus on the quality of the hot tub alongside the pumps, jets and size of the hot tub. Wet test if you’re unsure to see power. Some where along your hot tub buying journey someone is going to tell you that their hot tub is ‘self cleaning’. There are a few types of technology that lend themsevles to reduced maintenance including: ozone, UV filters and salt water systems. These all produce a chemcial that destroys contaminants. Whether that is ozone gas (ozone) or Chlorie (salt water systems). They do help reduce the chemical usage. But! They don’t test the water. And they don’t dose accordingly. So, you will still have to test the water to check the sanitiser levels. And likley add to (or reduce) the sanitiser. Plus, these systems sanitise, but don’t take into account the very important factor of pH. Which is necessary for comfortable bathing and efficient sanitisation. We like to think of self-cleaning sytems as a ‘fail-safe’. Especially in holiday homes, where a constant stream of sanitiser is necessary. 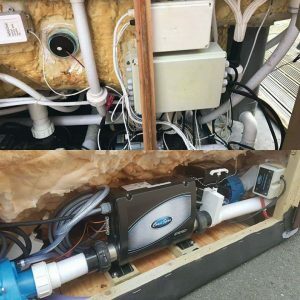 Automatic dosing systems or “self-cleaning” systems can be fitted on any hot tub. But, they are back-ups. You will still need to test and adjust the pH and chlorine/bromine. The shell of the hot tub is another part that you might not think of much when you are buying your hot tub. But, it’s the one part that cannot be replaced if it breaks. Pretty much all acrylic shells look the same. But it is how they are treated throughout the manufacturing process has a massive impact on strength. Many are stretched within an inch of their life and are no thicker or more heat/chemical resistant than your average bathtub. These will not withstand the massive water, heat and chemical pressure that a hot tub has to endure. Focus on shell quality should be a key manufacturing requirement when you are looking for your hot tub. Look for fibreglass backed acrylic (preferably quite a few layers). This will increase the strength of the hot tub shell. Also look for a good shell warranty. Shell quality is a fundamental component of a hot tub. Our tip: get into the hot tub and see if it moves. If it flexes under the weight of you, chances are it won’t withstand 1500litres of water. 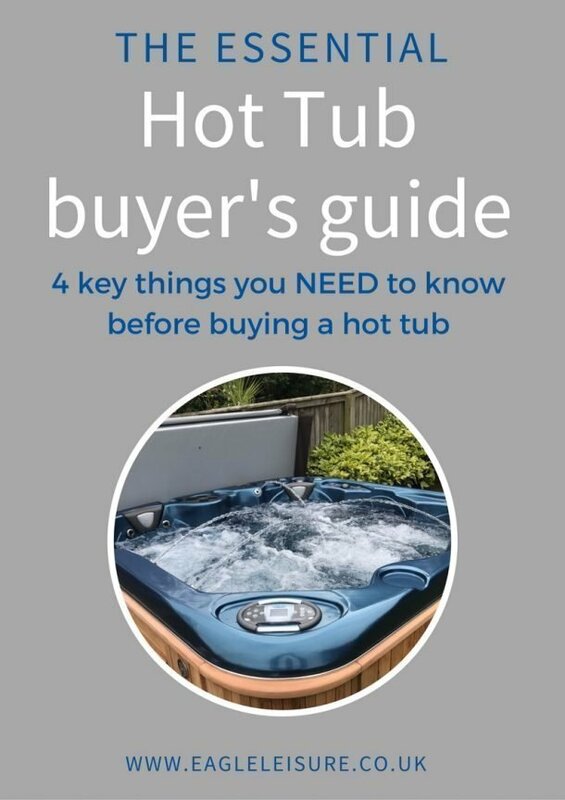 Hopefully, that has covered all the words you are likely to hear when your shopping for a hot tub and helped you understand a bit about each one. Now you can confidently step into the store knowing everything you need to buy the best hot tub for you. How much does a hot tub cost in Scotland? How many pumps and jets does my hot tub need?